Overview: This Sony SDXC UHS-1 Class 10 memory card is designed for use with DSLR cameras and HD camcorders for storing photos and videos. This memory card can only be used in SDXC-compatible devices. Capacity: Because some of the memory space is occupied by system management data, the actual usable memory space is slightly less than the total capacity of the card. For this card, approximately 230.4 GB is available. 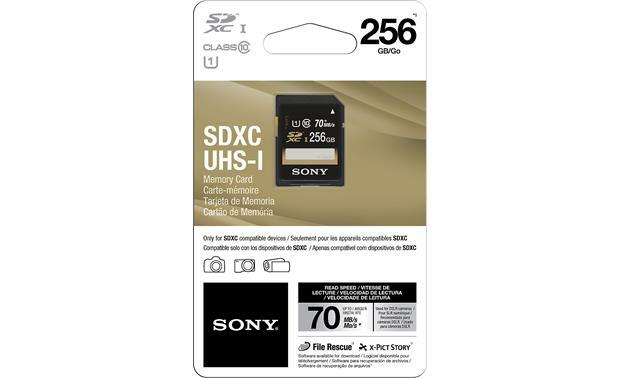 UHS-1/Speed Rating: This Sony SDXC card is rated for high speed data transfer, making it ideal for burst shooting and 4K and HD video modes of today's DSLR and HD camcorders. It has a UHS-I U1 (minimum 10 MB/s) and Speed Class 10 (minimum 10 MB/s) speed rating. The card has an actual read speed of up to 70 MB/s and a write speed that is slower, based upon Sony testing using an SD Association-certified testing tool. Transfer speeds vary, and are dependent upon the host device. Write Protect Switch: The Sony SDXC memory card has a built-in write protect switch to ensure that your files cannot be accidentally deleted or overwritten. 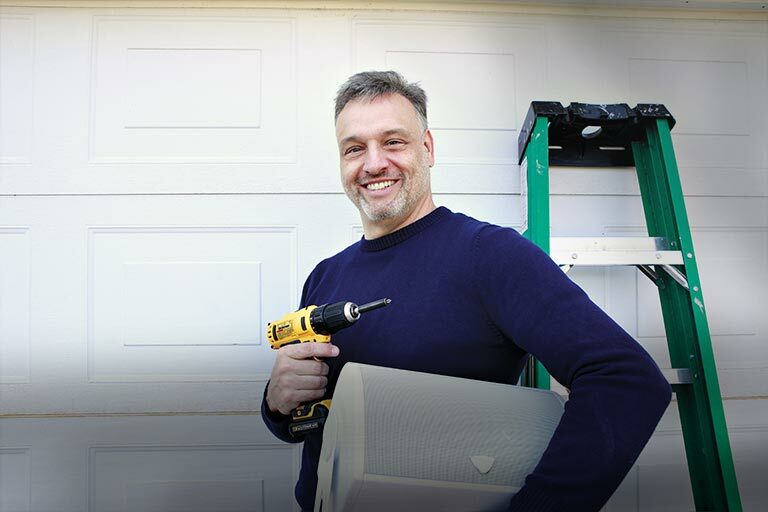 Downloadable Software: The card includes a link to downloadable File Rescue software, which can recover photos and videos that have been accidentally damaged or deleted on the card. You can also download x-Pict Story software from the included link to create customized slideshows from your photos. 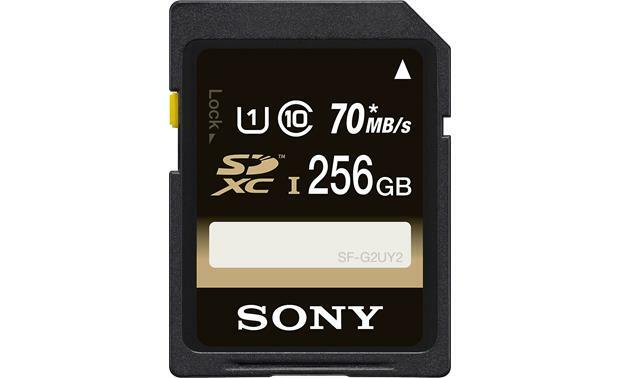 Searches related to the Sony SDXC Memory Card Class 10, UHS Speed Class 1 (256GB).